As we age, our bodies change. The health conditions that people are more likely to suffer from also change with age. 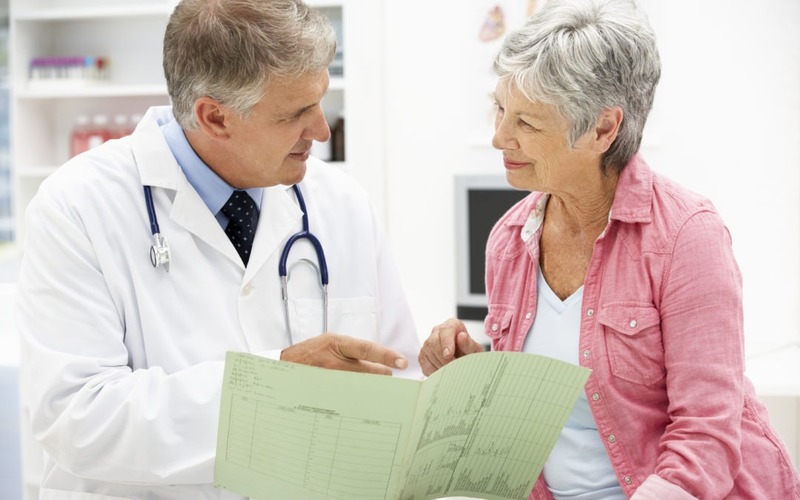 Being aware of which health concerns are most common for seniors is your first step in staying healthy and minimizing doctor and hospital visits. Arthritis is inflammation around the joints. It affects seniors more than any other age group. The two most common types of arthritis are osteoarthritis and rheumatoid arthritis. While this particular health concern is not something that you can avoid entirely, there are steps you and your doctor can take to minimize the symptoms of arthritis. Talk to your doctor and come up with a personalized plan for treatment. Alzheimer’s disease is the most common type of dementia. It affects 1 in 9 people ages 65 and older and is one of the leading causes of death in the United States. It can be a difficult disease to diagnose at first, because symptoms don’t often present themselves for several years. Scientists aren’t positive what causes Alzheimer’s, but they do know that there are some people who are more likely to develop the disease based on genetics. While there is no cure for Alzheimer’s, there are some steps that you and your loved ones can take in order to help prevent or stave off the disease. Cancer is the second leading cause of death in seniors. Many types of cancer are easily detectable and treatable if found early enough. The best way to prevent cancer and guarantee you get treatment as soon as possible if you do have it is through routine screening. Your doctor can let you know how often you should be screened for cancers based on your own personal health and family history. Diabetes is very common in senior adults, particularly type-2 diabetes. When you have diabetes, your pancreas does not produce glucose in the way that a non-diabetic body does. So certain foods can cause blood sugar spikes or drops that can make you feel dizzy, confused, or nauseated. In severe cases, major changes in insulin levels can send a person to the hospital, cause coma, or even death. So take care of your body if you have diabetes. Eat healthy foods that promote good changes in blood sugar. Avoid foods that are high in carbohydrates or simple sugars. Heart disease—and health complications that come from heart disease—is the leading cause of death in senior adults. Heart disease affects more men than women, but all older adults are at a higher risk of developing heart disease than younger adults. Other medical conditions like high blood pressure, high cholesterol, or diabetes can all lead to heart disease. Having heart disease increases a person’s risk for stroke and early death. To avoid heart disease, eat a healthy diet and maintain a regular exercise routine. Visit your doctor regularly, and listen to their advice about your health routines. Osteoporosis happens when your body loses bone density. A person’s risk of falls and fractures increases with osteoporosis. One bad fall or fracture can lead to a number of other health issues, from obesity to poor medication management. It is estimated that nearly 54 million Americans over the age of 50 have low bone mass, and that number is expected to rise in the next few years. A healthy diet full of bone-strengthening foods and going to regular doctor’s visits can help you to prevent falls and breaks. There are several different types of respiratory disease that seniors may suffer from, such as asthma, chronic bronchitis, emphysema, and chronic obstructive pulmonary disease (COPD). Having a chronic respiratory disease puts you at a higher risk for pneumonia and other infections. If you do suffer from a respiratory disease, make sure you take your prescribed medications properly and get regular lung function tests done. If your condition requires oxygen, use it correctly and as needed. Shingles is a virus that affects people who have, at some point in their life, come down with the chickenpox virus. It is a very painful condition that causes an itchy red rash, blisters, and severe pain or tingling where the rash is. Often times, shingles is limited to one side of the body. Fortunately, shingles is avoidable thanks to a vaccine that is available. If you have ever had chickenpox, talk to your doctor about getting the shingles vaccine. If you have had shingles in the past, you can still get the vaccine to prevent additional breakouts.